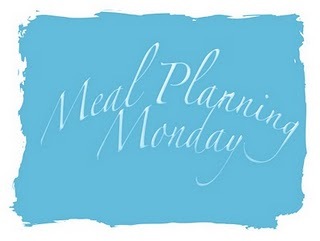 Welcome to a new element of my blog... meal planning Mondays! I'm sure nobody is interested in what I'm eating for dinner, but I've seen this on a few other blogs and it is a good way to get ideas. I'm mainly doing this for myself though.... I used to be really good at meal planning and cooking lovely recipes, but since I've been living on my own, I just can't be bothered any more. Which is a shame as I actually have a much shorter commute (from central London to Surrey, rather than central London to Winchester!) and all my lovely recipe books are just gathering dust. More to the point, I'm trying to follow Slimming World and lose weight, and so far haven't had much success. I lost a few pounds initially, but have put them right back on. And before you all say that it's down to the baking, like most bloggers I'm sure, I don't actually eat all that much of the things I bake. Admittedly I do over indulge sometimes (like this Valrhona chocolate dessert, but I did let my boyfriend finish mine) but I generally only try to bake for a particular occasion, e.g. someone's birthday, a visit to my parents, food to take and share on a picnic etc. So I'm going to start trying to plan my weekly menu properly, taking into account that I'm supposed to be counting Syns (TM Slimming World) but that I also want to try out some more interesting recipes. And not be in such a last minute panic when my boyfriend is coming over for dinner that I don't know what to cook! I will try to revisit this post after the end of the week to note whether I actually stuck to the meal plan, and if not why not, and maybe add a photo or two of something particularly interesting. And if hearing what I'm having for lunch and dinner doesn't interest you in the slightest, please just ignore these posts (rather than leave comments saying what a pointless thing it is) - because the idea that this is potentially public, even if nobody actually reads it, will hopefully mean I stick to it a little better! Option A choice every day/ most days will be milk in tea and maybe snaffling a couple of Laughing Cow light cheese triangles from the fridge while I'm cooking dinner! I know I will also use endless syns on snacks but at least this meal plan is a start. I find it impossible to plan snacks as I never know how hungry I will be or what I want, but I try my best - my drawer at work is filled with low fat snacks like cereal bars so I won't go to the vending machine. I'm totally rubbish at eating fruit though so will try hard this week (and from now on). I won't bother putting down drinks if it's tea (I usually have one cup a day, with milk from my option a allowance and splenda) and sugar-free squash, which is free. And for the uninitiated, you're supposed to aim for 10-15 syns per day (what a syn is and how it's calculated is a bit complicated - though I find Slimming World better to follow than Weightwatchers, which I've also done in the past). Did I stick to it? Breakfast - yes; 1 syn. Snack - 1 apple (no syns). Lunch - yes, 1 syn- also added some leftover dry roasted potatoes (no syns). Went to the gym for half an hour on my lunchbreak. Afternoon snack - Muller rice. I'm really annoyed about this as I bought a six pack of what I thought was Muller light yogurts (no syns) but as I was going round Tesco in a hurry, didn't notice until today that what I actually bought was Muller rice. 'Can't be much different', I thought, and ate it anyway... then checked on the Slimming World website. 10 syns!! Dammit... anyone want some Muller rice? :-) Also had a Special K cereal bar - 4 syns. Dinner - had 2 Laughing Cow light cheese triangles when I got home (no syns- option a) and then dinner as planned - 4 syns. Didn't bother making the dessert in the end as I had a headache; really wanted some chocolate as I was a bit upset about something but very proud I managed to resist! Total syns for the day: 20. Would have been 10 if it weren't for the Muller rice. Still not sure what to do with the rest... wonder if my boyfriend likes them? Dinner- with my boyfriend - turkey schnitzel with home-made potato wedges. Turkey breasts, dipped in egg then breadcrumbs (4.5 syns for 25g of the breadcrumbs). I think I might add a slice of bacon (no syns if I cut the fat off) and some reduced fat mozzarella (2.5 syns per 25g) before I coat it in breadcrumbs. The wedges are simply potatoes chopped roughly, sprayed in Fry Light (no syns) and sprinkled with paprika or maybe Old Bay seasoning. I'll also serve this with veg, and I plan to make an extra schnitzel to take for my lunch tomorrow. Dessert: low fat mango mousse for me, and the rather retro butterscotch angel delight I've got in the cupboard that I've been promising my boyfriend he could have. We both loved this when we were kids and haven't had it for years! Did I stick to it? Breakfast - yes; 1 syn. Morning snack - 1 apple - no syns. Lunch - yes, 1 syn. Plus Weightwatchers chocolate and vanilla mousse - 5.5 syns. Went to the gym for 30 mins on my lunchbreak. 2 Belvita breakfast biscuits - 6 syns. Boyfriend didn't come for dinner as he was ill so when I got home I made something at a bake sale at work the next day. The smell of the cake sort of put me off cooking anything for dinner, then I decided at about 9pm I was hungry after all... and ate three canned hot dogs sausages. How disgusting is that?! Can't be the only one who eats junk food but they had 10 syns in total and I probably had another 5 syns from licking the mixing bowl while I was baking! Total syns for the day: 28.5. Started off so well! Will try harder tomorrow. Lunch- Leftover turkey schnitzel from yesterday - should have 7 syns if I measure out the breadcrumbs and cheese - with home made potato salad (free, using fat free natural yogurt, a little salt, garlic, and spring onions). Dinner- Pasta with tomato sauce from a jar (quick and easy!). I have a Weightwatchers pasta sauce at home that's 6.5 syns for the jar, so I usually use half a jar and top it up with some syn-free passata. I'll resist sprinkling any cheese on top... and cook some broccoli to eat with it. So that should be just over 4 syns for the sauce, and I'll make extra to have tomorrow. Dinner - was hoping I could do the schnitzel planned for yesterday and that my boyfriend would come round but he's still at home sick and doesn't want me to go round there either :-( So I had a Dalepak lamb grillsteak from the freezer (3.5 syns) with boiled new potatoes, veg and mint sauce (2 syns). Decided I did fancy a dessert so I made a low fat mango trifle - I will post this as a separate entry. It used mango and fat-free plain yogurt (free), 1 Asda trifle sponge (4 syns) and 1 meringue nest (2.5 syns). Total syns for the day: 31.5 Seems like an awful lot given I really didn't snack much today - not anything like as much as I normally do! Lunch was what blew it... and I'm having the same thing for lunch tomorrow! Never mind, won't be buying any more tinned hot dogs for a while! Did I stick to it? Breakfast - no, decided to use up the rest of the bread (option b) and low fat spread (1 syn). Morning snack: homemade potato salad with boiled new potatoes, fat-free plain yogurt, pinch of salt and 1 tbsp low fat mayo (1 syn). Lunch: same pasta as yesterday, 12.5 syns. Can't believe I originally budgeted 4 syns for it! Went to the gym on my lunchbreak. Afternoon snack: cereal bar (Tesco chocolate chip chewy bar) - 6 syns. Dinner - my boyfriend was feeling better so came round for dinner :-) So I made the turkey schnitzel planned for Tuesday and we both loved it. I took a thin turkey escalope (free), dipped it in flour (not sure if I need to count syns for this - maybe 0.5) then beaten egg then breadcrumbs (4.5 syns). I added a slice of bacon and a slice of mozzarella (2.5 syns) before I coated it in the breadcrumbs, and cooked it in the oven. The cheese melted and it tasted lovely! I did it with home made potato wedges, which were just parboiled potatoes still in their skins then oven cooked, sprinkled with Old Bay seasoning. I didn't do any veg as I've run out! I made my boyfriend some butterscotch Angel Delight for dessert, which he really enjoyed - I checked afterwards and there are 14 syns in a packet, though surely it depends whether you make it with skimmed milk or semi-skimmed? I didn't have any, though - instead I had a meringue nest (2.5 syns) with the mango and fat-free yogurt I made yesterday. I also treated myself to a glass of rose wine as it was a lovely sunny evening - I estimate 6 syns for the glass. I did want a second glass, but resisted! Total syns for the day: 36.5 - quite a lot again, but I feel like I've had quite an indulgent evening meal and it could have been a lot worse if I'd had a ready made cheesy schnitzel, a less healthy dessert and that second glass of wine. So I'm still feeling quite proud of myself! Lunch- baked potato with cranberry sauce and the rest of the mozzarella. Recipe on Slimming World website gives 2.5 syns for the whole thing, using 57g of mozzarella... but if I have more than that left, I doubt I'll be able to resist using it up so I will allocate 5 syns for this meal. Dinner- hopefully having my boyfriend over as I need to stay in for an online grocery delivery - ooh, the excitement! Due to the delivery I might not have a huge amount of time to cook, plus it's the end of the week and I'll want something easy... so I'll do a chicken bake using a jar of Tesco Hunter's Chicken sauce I've got in the cupboard. I won't be buying it again though.. I was horrified to find just now it has a whopping 24 syns in the jar! A quarter of the jar will be enough, which makes it 6 syns, and the chicken or turkey will be free. I will serve it with rice and have to admit that rice is the one thing I don't have the patience to cook, so it's Uncle Ben's microwavable pouch every time (have I just lost some followers there...?!). The basmati has 1.5 syns for the 250g pouch so I'll call that 1 syn for the portion. I'll have it with vegetables and think I will treat my boyfriend to some garlic bread with it and maybe some cheese sprinkled over the chicken (on his portion only!). Did I stick to it? Breakfast - bowl of Dorset Cereals museli (option b). Morning snack- rest of homemade potato salad - 1 syn. Lunch: didn't have any mozzarella left and was too tired to make myself lunch last night so bought a small pack of sushi from Boots, which I was pleased to find only had 2.5 syns. Also had packet of Skips - 4 syns. Afternoon snack- apple (no syns). Dinner - extra turkey escalope and potato wedges I made yesterday, but it seemed a little dry so I had 1 tbsp of mayo on the side = 8.5 syns. Then also had two glasses of rose wine (12 syns!) and a packet of Discos = 7.5 syns. Lunch- crab noodles from "100 extra easy days" p36, as I have everything I need for this in the cupboard. Dinner- Roast chicken - as I'm getting a grocery delivery the night before, I can get a whole chicken. Not something I do very often as I have to carry my groceries home on the train and only do an online shop once every couple of months. And the leftover roast chicken will be great for next week. And it's syn free! I'll serve it with roast potatoes, vegetables, gravy (count 1 syn for) and I can't have roast chicken without bread sauce - the milk used to make it will come from my option a choice, and there are 3 syns in a half-packet portion. If my boyfriend is here I will also make Yorkshire puddings as he loves those, and it will be hard to resist the temptation of having one! The Slimming World website suggests Yorkshire puddings generally have 3-4 syns each. Dessert: I was planning to make the peanut butter chocolate tofu mousse I saw on TheMoreThanOccasionalBaker (my friend Ros) 's website, but have discovered that Asda - where I'm getting the grocery delivery from - only has firm tofu and I need the soft kind, so this will have to wait! crab noodles: simple but delicious. And free! Total syns for the day: 21 but more than half of that was wine! I'm not an alcoholic, I promise! Breakfast- Poached eggs with smoked salmon - filling and syn free, as I expect to over indulge today! Lunch- going to a friend's birthday picnic (if wet, in his house). Planning to bake a few things to take along but won't reveal what just yet as they will make an appearance on this blog at a later date! Dinner- depends what time I get back from my friend's party and what I've had to eat earlier. Ought to plan something but as a fallback there's always pasta. And bear in mind I could be a little tipsy by this point...! Did I stick to it? I got up a bit later than usual and was busy doing things round the house in the morning so didn't have any breakfast, then by the time it got to midday I didn't fancy eggs, so had a Mug Shot pasta meal (syn free) and a packet of Discos which I'd forgotten were 7.5 syns, oops! The picnic started at 2 so I decided it was a good idea to eat beforehand then hopefully whatever I eat at the picnic will mean I won't want much dinner. Shame the sun doesn't seem to be out as much as yesterday! I have done some baking for the picnic but will save the photos until I do a proper blog post! So at the picnic I lost track of what I ate - I was trying, but I didn't know anyone there apart from the host (and a couple of people I knew by name but hadn't really spoken to before) so it was easier to go and get a drink when I was stuck for someone to talk to! So by my reckoning, I had a glass of wine (6 syns), 2 Pimms and lemonade (probably about 5 syns each? ), one homemade cake (for arguments's sake I'll go with 6 syns but I have no idea), 2 homemade jaffa cakes (12), a small handful of crisps (6) and three small sausage rolls (about 12 - totally guessing here). I didn't have anything to eat when I got home but I still think I must have had about 60 syns today - and if I hadn't been trying to be a little bit good it probably would have been twice that! I am adding this post to the Meal Planning Mondays linkup on At Home with Mrs M.
Well done on your planning. And following skimming world. I've lost a total of 3 stone on skimming world since having my boy. Ive really found the skimming world way has slipped into our everyday lives. That's really good, well done - so far I've only lost 3 pounds! Hope now that I'm sticking to it a bit better I might see the weight come off. As long as I can stick to it! Yum.... I just realised that planning is the only way I have any hope of sticking to it! Thank you! It's only Tuesday morning and I've already eaten two apples this week which is more than I probably ate in the last 2 months! I'm disappointed I can't make the mousse this week or next as Asda doesn't sell soft tofu, and I don't think it would work with the firm kind! Not sure when I'll find a supermarket that sells the right one as I generally shop in a small Tesco metro and then do an online shop once every couple of months, so I could be waiting a while!